We've all been there. We're happily typing along on our novel when it hits us: what we have written actually kind of feels... terrible. Maybe you realize that you should have gone a different direction, or maybe you realize that you've lost all sense of direction completely. Maybe you feel like what you've written, your precious novel, is actually kind of a big steaming pile of poo. But take heart! That is only how you feel. And here is what to do when you feel this way. 1. Remind yourself why you love this story. Look at your Pinterest board, if you have one. Listen to your playlist. Read over a scene you were particularly proud of. See? It's not all that bad. This novel is your baby, and you love it. Maybe you just need a little reminding of how and why. I usually write in Google Docs, which means things can get a little sloppy. If this is the case with you, maybe it's time to format your document to "look" more like a real novel. Something about this really helps me psychologically see my novel better, because it looks like its on its way to getting published. If you've already formatted your document, maybe it's time for you to write in a different font, style, or size. Sometimes with large casts, like the one I have right now, it's hard to figure out what to do with all the characters. It can be even harder to know what each character is feeling or thinking. This is where it can be helpful to sit down with each of them and get to know their inner thoughts. Write out a scene with them, interview them, or write a journal entry from their perspective. Even if you don't use the actual words in the novel, it will help you mentally feel like you've got a better grip on where you're going. Chances are, it isn't as bad as you think. Taking some time to step away will allow you to get some distance, which will allow you to see things more objectively. When you come back, it could be you still think your writing stinks, but hopefully the time away will help you in fixing the problems. Whatever happens, taking a break is never a bad idea--as long as you keep writing later on. Bonus! Write a blog post about it. That's what I'm doing right now, and it's helping. Right? ... Right? 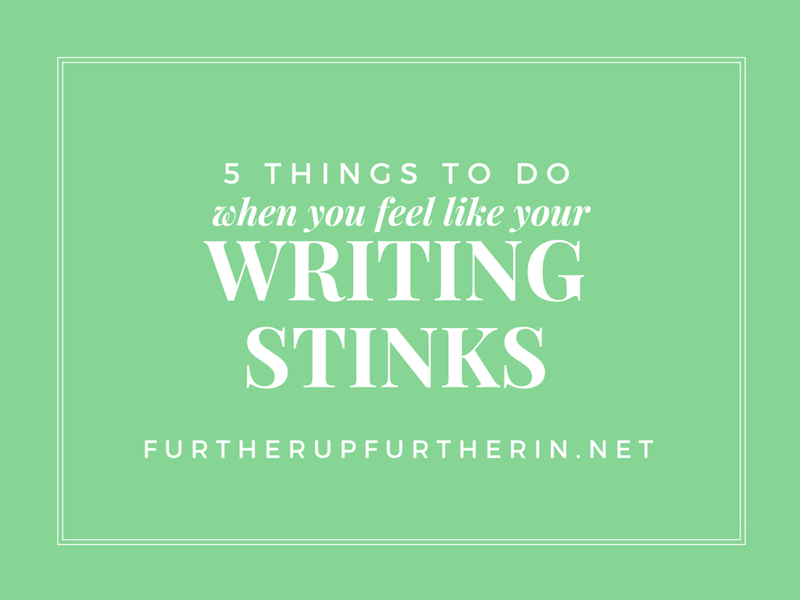 What do you do when you feel like your writing stinks? Sound off in the comments! I've been following Briana Morgan on Twitter for only a few months, but her Twitter is such an inspiration for me as a writer! We both share a love for deep, gritty novels and a certain man named Jay Gatsby. 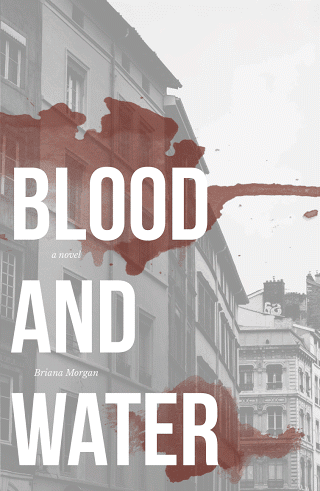 I'm excited because Briana is planning to release her book Blood and Water sometime in September, and so it's my pleasure to participate in her cover reveal! “Jay needed so many things. He needed Maia to be well. He needed a cure for both of them. He needed the world to somehow start making sense again. Above everything, he needed someone to tell him why these terrible things were happening to him." When Jay’s friends tell him there might be a cure for him in France, he must decide whether to pursue it. The journey will be difficult and dangerous, especially in his weakened state, but with little time left—for himself and for Maia—it soon becomes clear there's no other choice.Jay leaves the relative comfort of London to search for help, knowing he may never find it. Along the way, he experiences the effects of disaster on the bonds of friendship and fluctuating notions of family. These teens, decimated by a dangerous plague, face stark choices in their search for help, not knowing if their efforts will end in loss and pain. Follow Briana on Facebook, Twitter, and her website for more news on Blood and Water, as well as all sorts of writerly goodness. 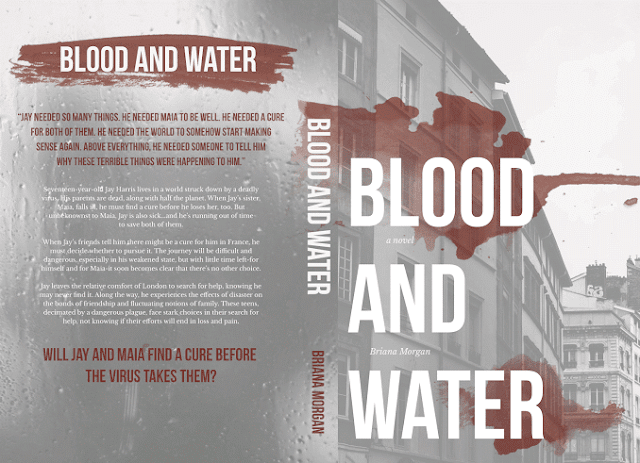 What do you think of the Blood and Water cover? Last year, I would do monthly recaps. I had every valiant intention of continuing them into 2015, but here it is July August and I haven't even touched one. Alas. So because I've been out of commission and I'm back to regular blogging again, here's what I've been up to, in one general recap. 1.) I graduated high school! Due to my health issues it's been a long road to the finish line, but I finally made it and I'm so excited to finally be done. We had a very small party on a lake and it was lovely. And in case you're wondering, I have no idea what to do with my life. 2.) I explored the world of emergency veterinarians. My cat, Tuxedo, whom I consider one of my best friends, got sick a month ago and we took him into the emergency pet hospital. He ended up staying for almost a week, and his diagnosis was kidney disease. He's getting older and so his time will eventually come, but until then we keep him comfortable with IV fluids. We've gotten quite adept at learning how to administer them, and I know how to change out a pet needle. 3.) I dyed my hair. Dying my hair red has been on my list for a long, long time. 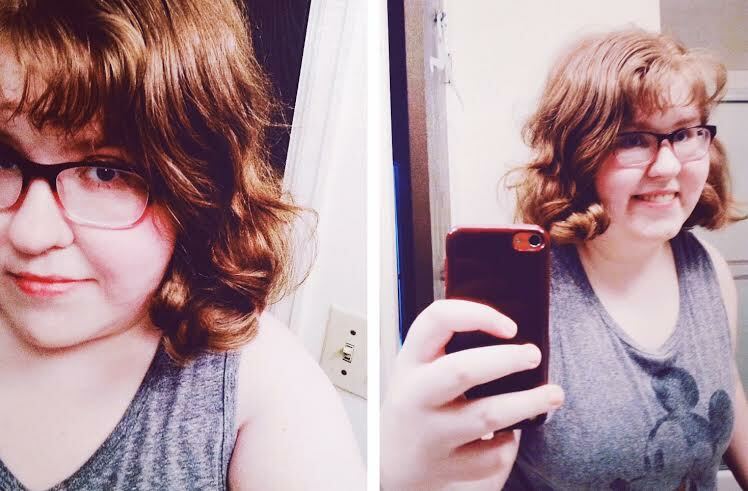 On July 9th, I did a hair glaze that added a red tone to my hair. I love it. 4.) I have been babysitting. I've been working, as always, on The Fangirl Initiative. I'm posting there on Wednesdays now, so keep an eye out for that! Recently I talked about my guilty pleasure: sitcoms and my not-so-guilty pleasure: fictional BFFs. As of this week, I'll be doing Daredevil recaps every other Wednesday, so that's awesome too! Here's my first one. Matt Murdock is my baby! All the fangirl tears! 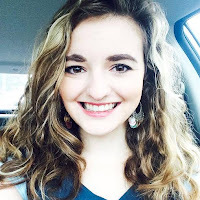 I've also joined a new blog project titled the Young Writers' Treehouse! It started out as a bunch of excited messages and it was so exciting to see the project build from the ground up. There are so many awesome people involved and I love the team I'm working with. It's my passion to help young writers and this is just the place to do it! 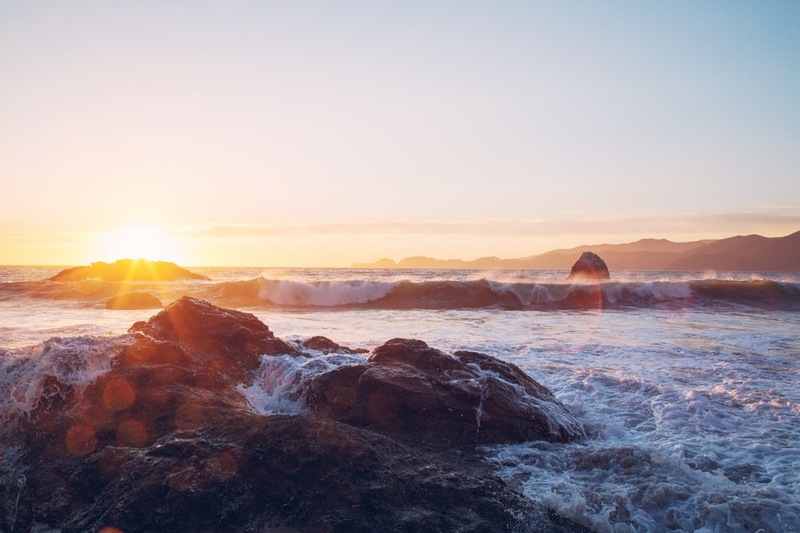 You can view my first post on deepening your characters here. I'll also be posting tomorrow, so keep an eye out for that! As for this blog... um. Until recently, it's mostly been Beautiful People. Sorry, not sorry? As you know, I finished Because I'm Irish and Petrichor. (!!!) I'm still in disbelief that it happened. A month or two ago, I took a brief jaunt into attempting to write my novel Evanescent Fireworks, but my character was turning out too bitter. The answer? Write my character with a slightly cynical voice, Fiona--the protagonist of Because I'm Irish. Evanescent Fireworks was put on hold, but I did finish BCII, so... yay? Now I'm working on The Angel Novel, my third attempt to actually write it, and it's going well at about 22k. In the background I'm also thinking of ways to rework my second draft of Lost Girls (which includes unintentionally coming up with ways to make it more painful). I'm also thinking about how to write Lost Girls' sequel, Cracking Glass, and its spin-off, Metal and Bone (probably my NaNo '15 novel). Other than that, I'm pinning a lot and silently plotting new novels. Muahaha. You can find out more about all these random projects on my novels page. I'm also co-writing with a friend again, which has been awesome. tv: I finished all of The Walking Dead and I LITERALLY cannot express how much I love that show. I also watched all of Bob's Burgers (except season 5) and laughed so hard at almost every episode. I still need to finish Daredevil, which I will now be doing in order to recap it for The Fangirl Initiative. Also... I'm watching The Office now and it is hilarious. Top FUNNIEST episodes? "The Injury," and the one about the Bird Funeral. What's your favorite Office episode? movies: finally saw Divergent! It was a great movie, honestly. I also watched The Spectacular Now and have many mixed feelings on it. What's up with you? What have you been up to? What are you watching on TV? What are you writing? Any new characters? How's life? 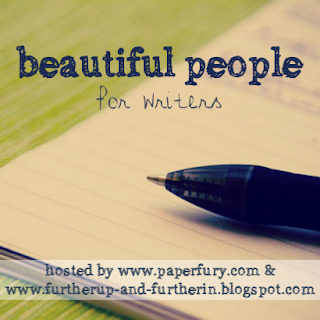 Hello, and welcome to another edition of Beautiful People! August 2nd was National Friendship Day, and to celebrate we've got a collection of questions about your friendships. So pick your favorite pair of buddies from your novel and let's get started! Aside from a long hiatus, BP has been in existence for 4 years now! Are their personalities similar or do they compliment each other? Do have any secrets from each other? Friendships in fiction are one of my favorite things. We can't wait to hear about yours! What's been going on with you guys? How's your WIP? What is your favorite friendship you've ever written?